The Murphy School District food service department is committed to making sure students receive well -balanced meals. The National School Lunch and Breakfast program is a federally assisted meal program administered at the state level by Arizona Department of Education. School meals must meet meal pattern and nutrition standards. Our district has increased the availability of fruits, vegetables, whole grains, and fat free or low fat milk in our meals. The levels of sodium will continue to decrease as we move forward into the new school year. Murphy School District meals are provided free of charge to all enrolled students. Our goal is to connect school meals with student learning in the classroom so that our youth may be inspired to form healthy habits for life. Breakfast in the classroom is offered at all four district schools. Special dietary needs can be accommodated please contact your school nurse on how to complete a special diet request form. Other non-medical diet request can be discussed with your school cafeteria manager. Please see contacts list. Murphy School District is now partnered with Chartwell dining to provide the best meal to our students. For nutritional information please Click Here! If you are interested in working with food and serving children or looking for part-time hours while your kids are in school consider applying as a food service substitute. This institution is an equal opportunity provider. The Murphy School District is committed to providing school environments that promote and protect children’s health, wellbeing, and ability to learn by supporting healthy eating and physical activity. 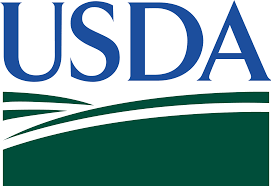 The purpose of this form is to assist you in filing a USDA program discrimination complaint.